Roughly 25 million Americans have experienced tinnitus or ringing in the ear. Of adults ages 65 and older in the United States, 12.3 percent of men and nearly 14 percent of women are affected. United States are born deaf or hard-of-hearing. Nine out of every 10 children who are born deaf are born to parents who can hear. 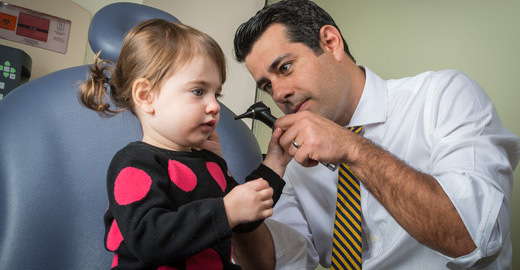 Three out of 4 children experience ear infection (otitis media) by the time they are 3 years old. Approximately 188,000 people worldwide have received cochlear implants. In the United States, roughly 41,500 adults and 25,500 children have received them.